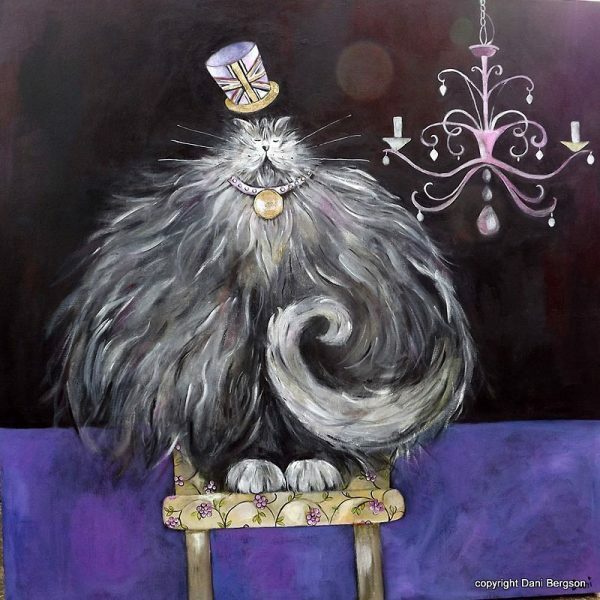 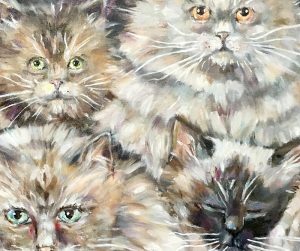 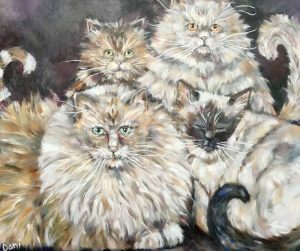 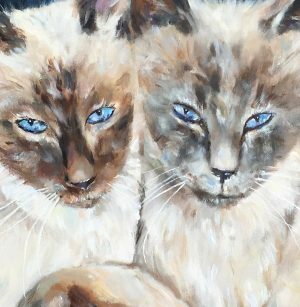 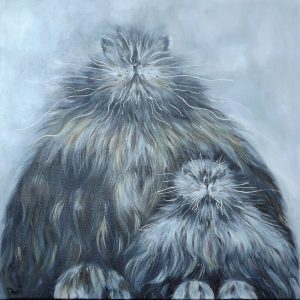 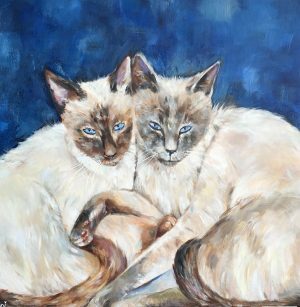 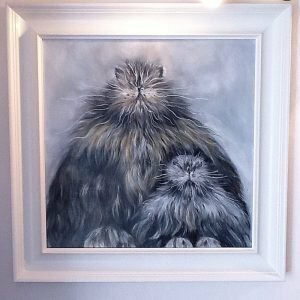 An original sophisticated fluffy cat with lots of personality. This cat is sitting on an upholstered decorative chair. 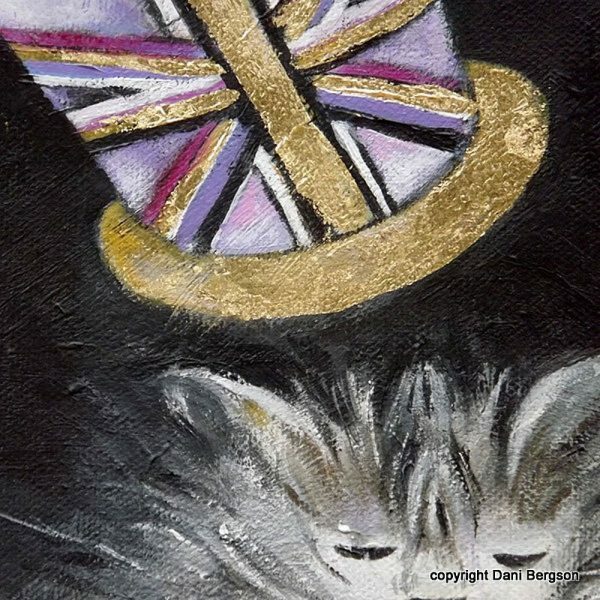 His Union Jack hat and collar are embellished with original Gold Leaf.This piece of Art is painted in acrylics and mixed media. 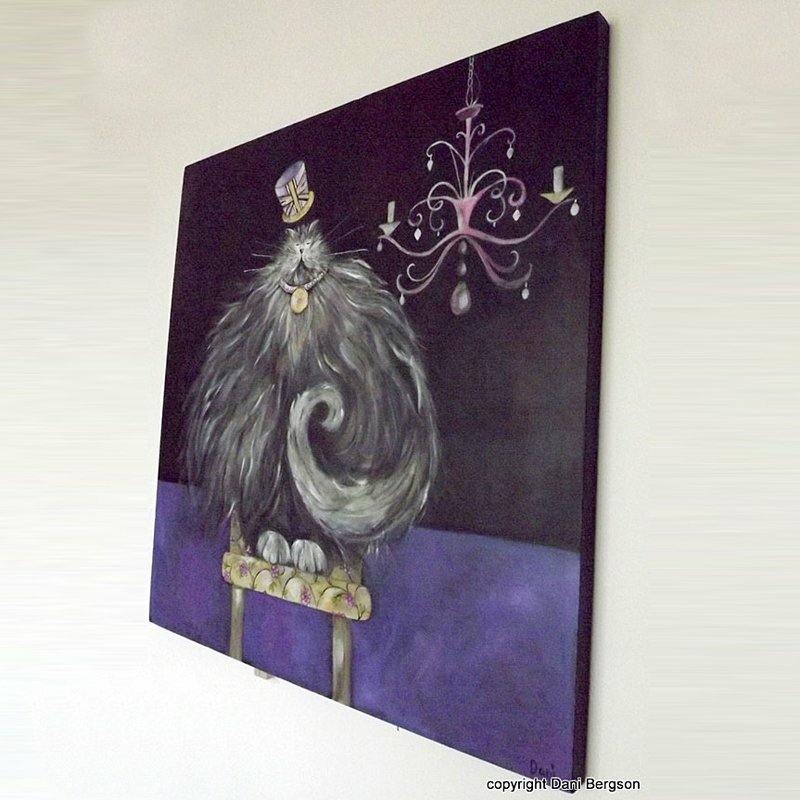 This canvas can be hung directly on to any wall.